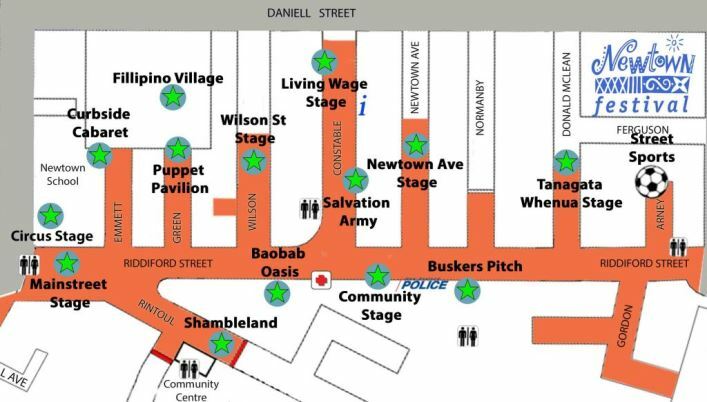 A massive parade of Samba drummers: they will be warming up from around 3.30 at the Shambleland in Rintoul St then grooving their way along Riddiford in front of the Community Stage and on towards Newtown Ave.
Wellington Batucada is a community-based percussion group which brings the flamboyant world of samba from Brazil to Wellington. 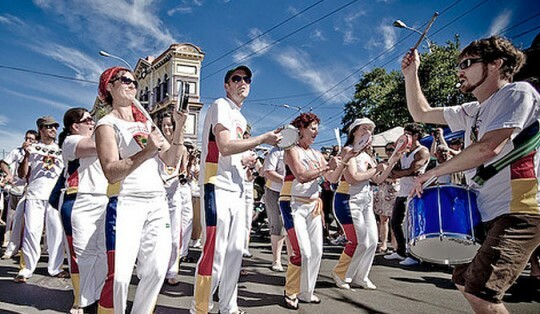 Batucada is a Brazilian word used to describe the syncopated, African-influenced samba music played by a large percussion group (bateria) as part of a street parade or carnival. New rhythms and musical fusions are being explored and developed to reflect the wider cultural influences here in New Zealand, and to create a form of live dance music that’s uniquely ours.